I am writing to thank you for the excellent service you and your movers provided to one of our clients. Your company was very accommodating and instrumental in successfully moving our client into her new apartment. 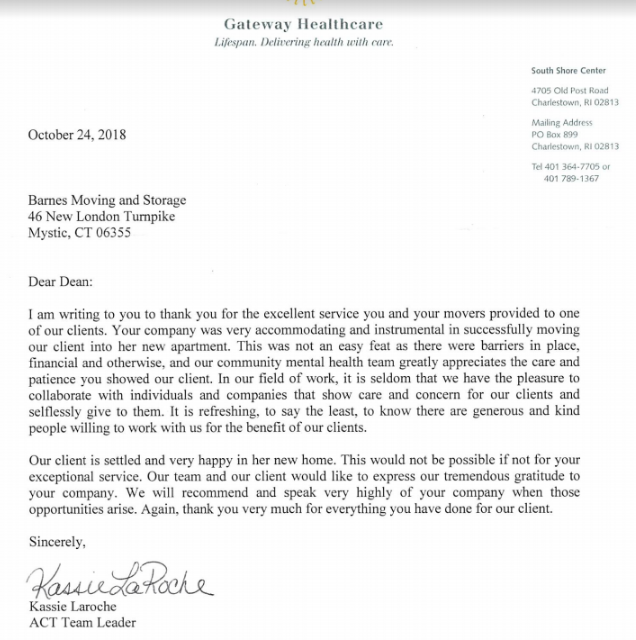 This was not an easy feat as there were barriers in place, financial and otherwise, and our community mental health team greatly appreciates the care and patience you showed our client. In our field of work, it is seldom that we have the pleasure to collaborate with individuals and companies that show care and concern for our clients and selflessly give to them. It is refreshing, to say the least, to know there are generous and kind people willing to work with us for the benefit of our clients. Our client is settled and very happy in her new home. This would not be possible if not for your exceptional service. Our team and our client would like to express our tremendous gratitude to your company. We will recommend and speak very highly of your company when those opportunities arise. Again, thank you very much for everything you have done for our client. This email is long overdue. 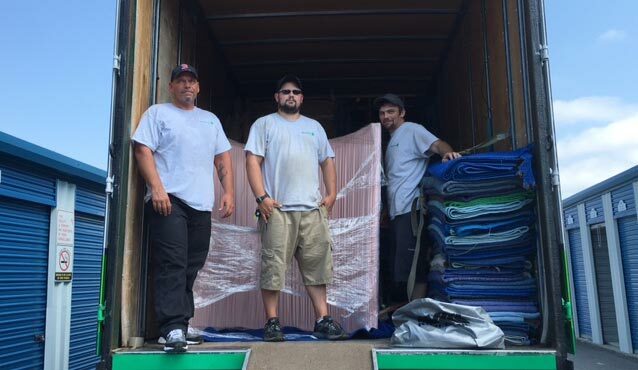 I just wanted to thank you and your team for making my move go so smoothly. The movers were wonderful and went the extra mile. Given that they actually had to make a stop not only at my house in New London but also the storage unit in Waterford and do the same at my place on the Cape and my unit there says a lot. Throughout it all, they were prompt, professional and courteous. I just wanted you to know that they did your company proud. Again many thanks. Hope you and your family enjoy the rest of the summer! I just wanted to let you know that the team you sent was superb. Brian, Steve and Dan were all so well mannered, accommodating, skilled, careful and did a beautiful job. I was nervous in the beginning about the move, but they made me feel comfortable at every step. Thank you SO much for all your help in your quick responses to emails and calls no matter what hour. I am now telling everyone here on Fishers that if they have to do a move to call you. I just wanted to say “thank you” for all the services that you and your team provided to us in our recent move to New York. Your team was outstanding – they were professional, hard-working, and efficient – and were genuinely friendly. We particularly appreciated Brenda and Emil. They both were absolutely outstanding in terms of communication, organization, and making us feel “at ease” with the whole process. Also, I wanted to thank you for your “not to exceed” estimates. That really gave me confidence that there weren’t going to be any big unexpected expenses and helped us to budget for the move. You’ve built a great company – and I was really impressed talking to some of your workers. I was especially impressed at how long some of them have worked for you – that says good things both about you and about the atmosphere you’ve created there. I didn’t imagine when we met you and Victoria a few years ago that I would ever need to use your company’s services – (and I still wish we didn’t have to!) but I am glad we got to know your family a bit. I hope that your summer is going well! wanted to let you know how pleased I am with how smoothly the move went. Dave & Lane are a delight as well as professional. We just wanted to let you know what a wonderful job your moving team did. Our move from Conn. to N.C. went off without a hitch! Not one missing item, nothing broken, everything was packed with care. Please thank all of your team for us! 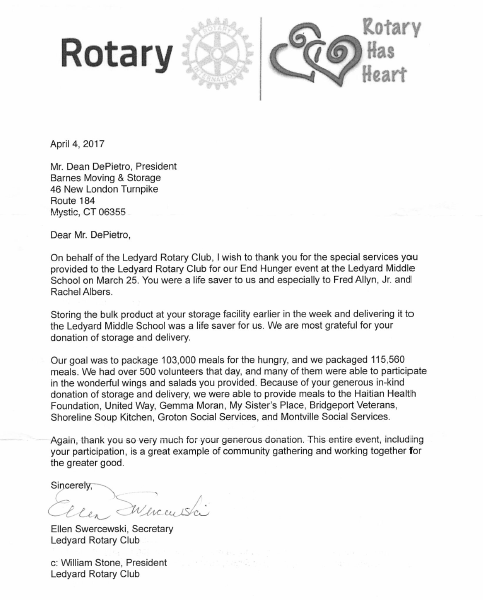 Dear Dean, I wanted to thank you for the wonderful experience we had with your company during our recent move from Gales Ferry to Mystic. Your staff was friendly, helpful and very professional. They provided excellent service and we will not hesitate to call you again once we buy our dream home. Warmest Regards.